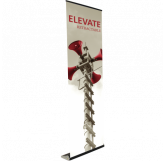 With a maximum graphic height of 95.25", this banner stand makes a maximum impact with the ease and convenience of a retracting banner. 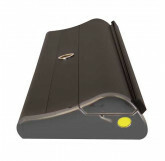 Prominently display messaging and branding with high quality, custom graphics. 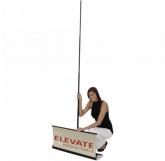 Elevate features access to the removable graphic roller via a flip-top lid. Make the graphics usable for a table top display or a full height floor model that will grab the attention of any potential client. 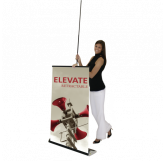 Many of our clients use this banner with any of our literature racks or iPad displays. - Variable graphic height 30.75" - 95.25"